Having a personal treadmill is convenient for times when you cannot make it to the gym. Besides, it is cheaper to exercise from home rather than having to pay for a gym subscription. However, getting an honest review on a treadmill you want can be a bit difficult. Here is a genuine review of the Sportstech F37 Treadmill. 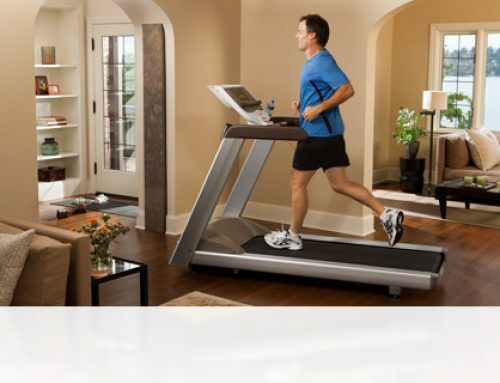 The treadmill has a maximum speed of 20 km/hr which is ideal for home use. The motor has seven horsepower which ensures that the machine does not make noise when in use. As such, whether you are just an amateur who wants to either walk or run on low speed, or you are a pro who wants a machine to challenge their skills, then the F37 home treadmill is suitable for you. The treadmill has a 15 per cent maximum gradient which offers the best challenge for runners who want to stretch their abilities. Besides, anyone who wants to walk or jog on a low inclination is just required to adjust the gradient to what they feel is comfortable for them. Individuals who love exercising using a treadmill will admit that the most annoying thing about a treadmill is the noise it makes when it is not lubricated. With this treadmill, you need not worry about having to lubricate your machine because it comes with a self-lubrication system that oils the machine once it runs dry automatically. The running area measures 1300 by 500 mm and is composed of 5 layers. Thanks to the 8 zones cushioning system, the treadmill offers the users a natural running feel. However, the treadmill can only support a maximum load of 150 kilograms. The treadmill has 12 installed programs that contribute to offering you an interactive training session. The machine also has a 7.5 inches multimedia console that is compatible with other devices. The console also allows users to view data regarding their training. It also has a hand pulse measurement so that you can monitor your pulse rate as you exercise. The treadmill has large rollers that enhance its portability. It is, therefore, possible to roll it to any corner of the house. You can even work out in your living room as you watch the news or in the kitchen as you cook. With this treadmill, you don’t require any special training to assemble. It will only take you about five minutes to put it together, and you can enjoy your workout. 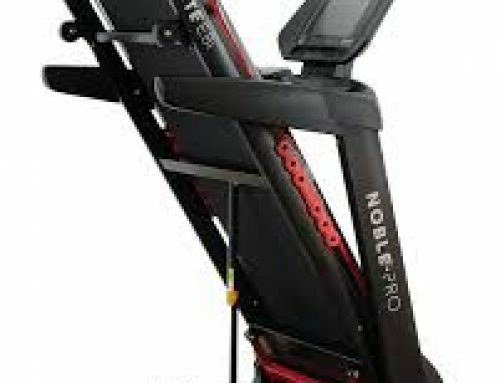 The best aspect of this home workout machine is that you can easily fold it away into a corner of the room or garage. Besides, the treadmill once folded occupies minimal space thus saving you the much-needed space within your home. Most people who want to begin exercising shy from buying a treadmill because they fear that it would be complicated to use. The beginners, therefore, opt to subscribe to a gym where there are instructors to guide them through. The good news is that the Sportstech F37 Treadmill is easy to use and is suitable for beginners. At the same time, the equipment offers a challenge to experienced users making it suitable for all users. Doctors advise older people to keep exercising for a healthy life. It is expected that an old man or woman has minimal movements and it would be unfair to expect them to visit a gym regularly. The elderly also may have dementia and should not be allowed to walk alone. Therefore, a home treadmill is the best gift for them. The treadmill would allow them to work out at their convenience without having to drive or walk to the gym. Arthritis makes the patients unable to walk. As therapy, people with arthritis are required to exercise constantly. The home treadmill makes it ideal for them because they can exercise whenever they can get without any pressure. Some diseases are caused by poor eating habits and lack of exercise. Some of these diseases are diabetes, obesity, and blood pressure. Well, you don’t have to suffer when you can do something about it. The treadmill can help you stay away from these diseases through regular exercise. If you are already sick, then you can work towards reducing the effects and faster healing through regular exercise at the comfort of your home. The treadmill is manufactured using the best quality materials which translate to its longevity. The equipment, therefore, offers the users value for their money. 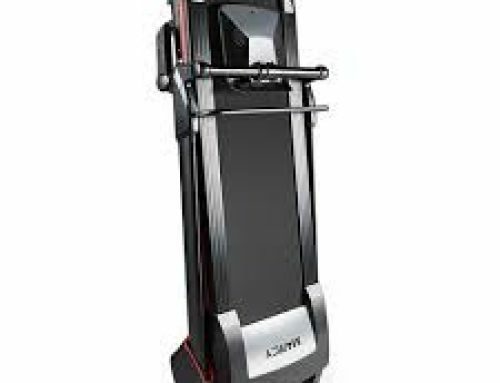 The main shortcoming about the treadmill is that it can only accommodate the weight of up to 150 kilograms which limits people who may want to use but are heavier than that. The other disadvantage is that the sellers only deliver on the mainland thereby limiting people who may want to buy but are located on the islands. 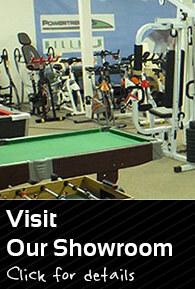 Other than that, the equipment is highly recommended for anyone who wants to keep fit at the comfort of their homes. Besides, if you have a busy work schedule, you can use the treadmill whenever you can spare some few minutes at home. The Sportstech F37 Treadmill is the best equipment for fitness enthusiasts. The machine has a sturdy running area. The most admirable aspect of the machine is that it has a self-lubricating system which saves you the time and also spares you from the noise produced by a dry machine. The product is easy to assemble and fold away hence you don’t need an expert to do it for you. It is ideal for the elderly, young, people with diabetes, obesity, and arthritis because they can walk or jog depending on their capability. It is a good investment that will not only keep you fit but also offer value for your money as it is durable.